Gotta love those precious old photos. Especially around Christmas time, I feel that strong ancestral connection. Merry Christmas brother. Hope you are having a great one! 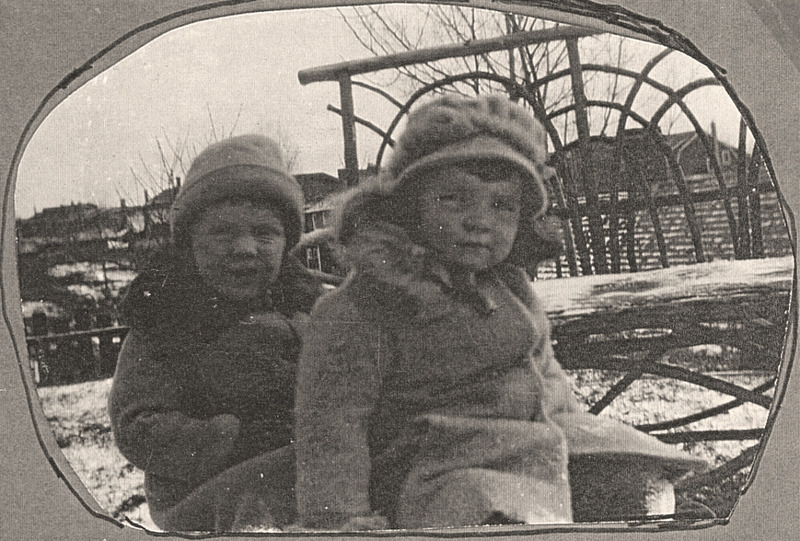 Thanks Lee… this pic was probably taken in the late 1920s… they were twins and born in 1922 or 23… we have conflicting records somewhere and I’d have to do the math to be sure! Anyhow, an interesting window into old Toronto. I’m pretty sure that’s TO in the background as they grew up there.